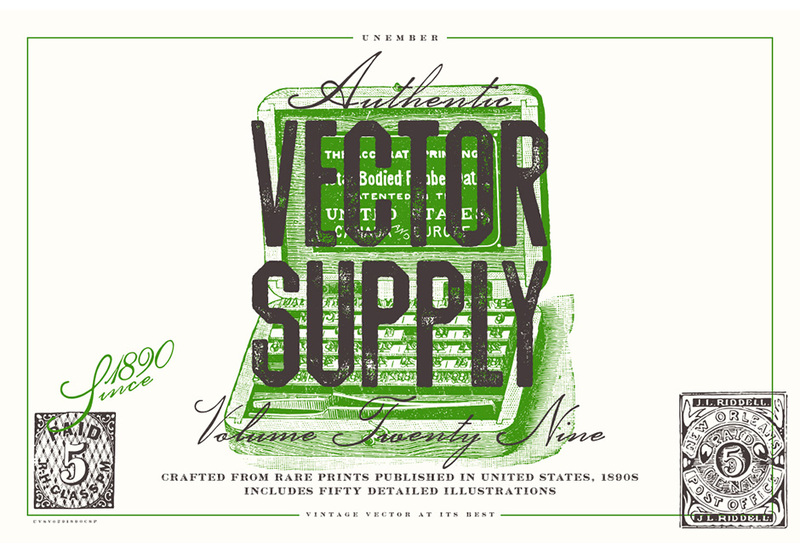 Vector Supply Volume 29 contains 50 much adored retro stamp illustrations, sourced from weathered prints published in United States, 1890s. 50 Vintage Illustrations in .AI, .EPS and .PNG formats, with transparent backgrounds. File size is approx 62.2MB (92.6MB unzipped), offered as a single download.